NJIT’s recent Jay Kappraff Award Recipient Michael Benson discusses his visit to NJIT, Kubrick’s “2001” and his career fusing the science and art worlds. In a 141-minute cinematic spectacle that would take four years to produce, the two artists uniquely blended aspects of science and art to create a groundbreaking futuristic mythology that is still studied in film schools and debated by global audiences today. 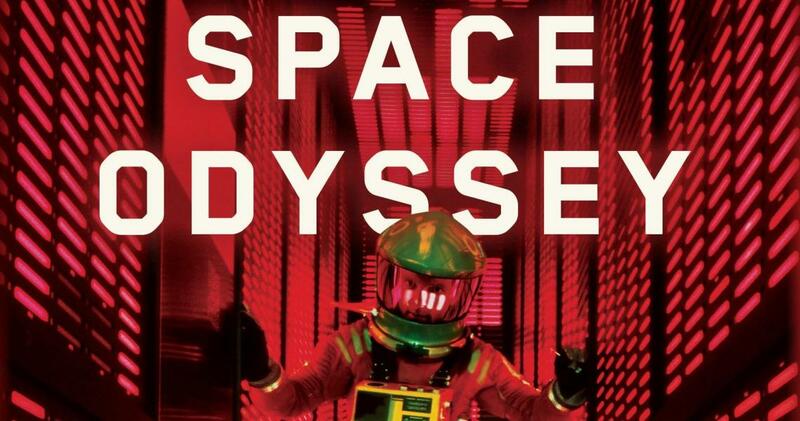 Half a century later, contemporary writer, filmmaker and artist Michael Benson, has authored a new and critically acclaimed account of the film — "Space Odyssey: Stanley Kubrick, Arthur C. Clarke, and the Making of a Masterpiece". Benson’s own career work — which currently includes creating landscape photographs of planets and moons of the solar system using raw image data from planetary science archives — was recently awarded the Inaugural Jay Kappraff Award for Excellence in Science and Arts at NJIT’s College of Science and Liberal Arts Awards Ceremony. As part of his keynote speech at the awards, Benson talked about the strong relationship he sees between the visual arts and science. We caught up with Benson afterward to discuss that timely topic at the 50th anniversary of the theatrical release of Kubrick’s and Clarke’s “2001: A Space Odyssey”. What did you enjoy most about your visit to NJIT for the 2018 College of Science and Liberal Arts Awards Ceremony? It was excellent to meet Jay Kappraff and discuss some of his interests and work, as well as receive an award bearing the name of such a distinguished figure. My talk at the awards ceremony itself, in effect, forced me to condense and systematize some of what I’ve been about for the last 10-15 years, and to make linkages between the sciences and the arts that I might otherwise have overlooked, or simply not discussed. I hope that was transmitted to the audience and other award winners there that day. Your latest book tackles the making of Stanley Kubrick’s film “2001”, where the director combined groundbreaking special effects with research of paleo-history, space travel and artificial intelligence. What can we take away today from Kubrick’s ability to synthesize various spheres of science and art? I think it’s important to point out that Kubrick, like most filmmakers, worked collaboratively and that the great futurist, non-fiction essayist and science fiction author Arthur C. Clarke was in crucial ways the co-author of "2001: A Space Odyssey". Probably more than with Kubrick’s other films, this was essentially a co-equal collaboration, at least until the shooting started — after which the director was of course in his normal iron-clad control. Even then, he worked closely with Clarke, and the film was grounded solidly on Clarke’s ideas. And as my book reveals, Kubrick, who had the aphorism “Never let your ego get in the way of a good idea,” knew how to listen to his subordinates and also get the best work out of them. With “2001”, you have a technical science-based art form being used to realize, in film, a form of literature that also incorporates science. I don’t think Kubrick and Clarke were unique in their ability to fuse these fields, but certainly they did it with an integrity and stubborn determination that produced a spectacularly provocative work of art that stands the test of time and surely will still be studied for centuries to come as one of the greatest works of art the 20th century produced. Your own work distinctly blends science and art. What has inspired your work initially, and are there any current artists inspiring you now? My work has its origins in a perception as far back as the Voyager flybys of Jupiter in 1979 — that the visual legacy of the interplanetary missions deserves its place in the history of photography and visual representation, as much as it does in the history of science. With the arrival of the internet in the late 1990s, I was able to monitor incoming raw images from various NASA spacecraft in close to real time. I started to learn how to assemble them to make wider composite mosaic views, as well as stack black and white frames taken through various filters — ideally, red, green and blue — to produce true color composites. I then went about producing a curated body of work meant to represent the best and most compelling images from that entire genre of robotic spaceflight photography. This is currently on view in Barcelona in my touring exhibition "Otherworlds", which will travel to Cornwall, England this summer and then to Luxembourg in the winter. Currently, there are many different artists who I find inspiring. If I were to name one at the moment, it could be the great architectural photographer Robert Polidori, who’s a friend and who has a spectacular body of work covering a broad diversity of subjects and topics. What advice might you have for aspiring artists or students with a scientific background seeking to express themselves through new advances in science and technology? Work in a field or subject you already find fascinating, and find a way to express yourself about that field or subject. What I’ve done in my work is find a way to engage with a subject that I find fascinating, and I do that by choosing the medium that best suits that subject. For example, the way I make the case that the visual legacy of space exploration deserves consideration as art as much as science is to go into the archives myself and produce photographic prints, as well as illustrated books. 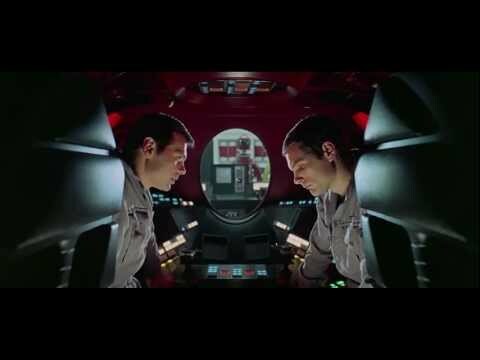 But when it came to looking under the hood of "2001: A Space Odyssey", a non-fiction narrative technique was more appropriate.